Festival Director Peter Noble says the major event may have to relocate because of the NSW Government's strict new policies on music festivals. 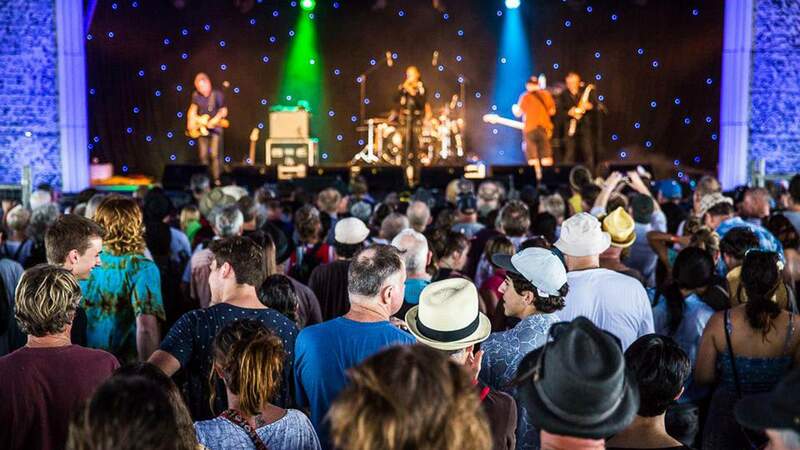 Every Easter long weekend for 29 years, Bluesfest has descended on Byron Bay for five days of blues and roots. But this year, the acclaimed festival's 30th anniversary, may be its last in the Northern Rivers location. In a scathing letter addressed to the NSW Government, Festival Director Peter Noble has revealed that Bluesfest might leave the state because of the government's strict new policies on music festivals. "I am saying now, Bluesfest will leave NSW. We have no choice it's a matter of survival," the letter, originally published on The Industry Observer, said. "Will the last festival to leave NSW please turn out the light of culture in this soon to be barren state?" You can read the full open letter, which was shared with Concrete Playground, below. 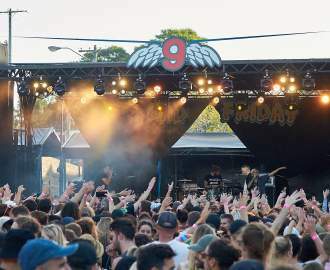 Noble described the new policies — which include a strict new licensing regime — as "poorly thought-out", "unbalanced" and "the Lockout Laws Version Two for festivals", highlighting that the State Government had neglected to fully consult those in the industry. He also revealed that the 30-year-old festival is having to spend hundreds of thousands of dollars to comply with recently implemented policies. Bluesfest, if relocated, will be just the latest casualty of the NSW Government's new policies, with both the Mountain Sounds and Psyfari teams cancelling their 2019 festivals in the last seven days, stating "the government's war on festivals", particularly "newly imposed safety, licensing and security costs", as reasons. Both said they were also required to spend thousands of dollars to comply with the new policies, but were unable to do so at such short notice. The new music festival licensing regime follows advice from the government's expert panel on music festival safety, which was assembled in September after two young people died of suspected drug overdoses at Defqon 1. Since then, three more young people have died from suspected drug overdoses at NSW festivals. The NSW Government is continuing to ignore increased calls for pill-testing as a harm-minimisation technique at festivals. Read Peter Noble's full letter below. Bluesfest may well be celebrating our last festival in NSW, should the sitting NSW Government proceed with its plans for its policies. Even though we are Australia's most highly-awarded festival both nationally and internationally – having won Best Major Event at the NSW Tourism Awards three years in a row; and in representing NSW we came in second in the Australian Tourism Awards (beating Victoria's F1 Grand Prix) – we have been designated a 'high risk event'. This will cost us hundreds of thousands of dollars to comply with a policy where we and every other event in this State have had zero opportunity to have any consultation or input into a policy where we will need to spend significantly more money to put on the event this year with zero notice. The policy will see our full-strength liquor approval denied, while a myriad of other costs may be levied costing us hundreds of thousands of dollars. The NSW police regularly state that our policies are those of an industry leader in the supply of alcohol, field hospital, and crowd security and care. But, due to headlines in the media, our 30-year-old professional business is to be seriously damaged in a new policy imposed regarding festival presentation by a government who has rushed the judgement of our industry without full consultation of stake holders, or meetings with entertainment industry professionals. I charge the Government with a systemic failure in fairness here and implore all politicians from all parties to quickly become involved with what is a serious injustice. We, like most events in this State, supply a significant level of culture – we don't receive a cent from government even though we cause thousands of people to be employed – and bring tens of millions of dollars into NSW through Tourism. In the recent study done by the NSW government into the arts, it was found NSW is significantly behind Victoria and Queensland. I ask the Premier, the Minister for the Arts, Tourism and Major Events and EVERY sitting politician: WHY? Why do you seem to be hell-bent on destroying our industry? We provide culture to the people of this state, and Australia, through our good works. Most festivals haven't had drug deaths and contribute greatly to our society through presenting well-run, professional, world-class events. Why have we been given zero recognition in this government's actions? It seems the new policies are poorly thought-out and through their implementation will decimate our industry, should our government not see good sense. Will the last festival to leave NSW please turn out the light of culture in this soon to be barren state? I have in my 50 years in presenting music NEVER EXPERIENCED such poorly thought out, unbalanced legislation. Surely a professional governing body could do better. It's the Lockout Laws Version two for festivals. This is NOT a vote winner in the upcoming election. Bluesfest 2019 is scheduled to run from April 18 to April 22 at Tyagarah Tea Tree Farm, Byron Bay. More details and ticket info here.